Which TV shows are doing the best? The worst? Cancelled or renewed? Wondering how your favorite series are doing in the ratings? Here are the season average ratings of the 2017-18 network TV shows — through the end of week 36 (Sunday, May 27, 2018). ABC shows (so far): 20/20, Alex Inc., America’s Funniest Home Videos, American Housewife, American Idol, The Bachelor, The Bachelor Winter Games, Black-ish, Child Support, The Crossing, Dancing with the Stars, Deception, Designated Survivor, For the People, Fresh Off the Boat, The Gifted, The Goldbergs, The Good Doctor, The Great American Baking Show, The Great Christmas Light Fight, Grey’s Anatomy, How to Get Away with Murder, Kevin (Probably) Saves the World, Marvel’s Agents of SHIELD, Marvel’s Inhumans, Match Game, The Middle, Modern Family, Once Upon a Time, Quantico, Roseanne, Scandal, Shark Tank, Speechless, Spitting Up Together, Station 19, Ten Days in the Valley, The Toy Box, and What Would You Do?. CBS shows this season (so far): 48 Hours, 48 Hours: NCIS, 60 Minutes, 9JKL, The Amazing Race, Big Brother: Celebrity Edition, The Big Bang Theory, Blue Bloods, Bull, Code Black, Criminal Minds, Elementary, Hawaii Five-0, Kevin Can Wait, Life In Pieces, Living Biblically, MacGyver, Madam Secretary, Man with a Plan, The Mayor, Me Myself & I, Mom, NCIS, NCIS: Los Angeles, NCIS: New Orleans, Ransom, Scorpion, SEAL Team, Superior Donuts, Survivor, SWAT, Undercover Boss: Celebrity Edition, Wisdom of the Crowd, and Young Sheldon. CW shows this season (so far): The 100, Arrow, Black Lightning, Crazy Ex-Girlfriend, DC’s Legends of Tomorrow, Dynasty, The Flash, iZombie, Jane the Virgin, My Last Days, Riverdale, Supergirl, Supernatural, and Valor. 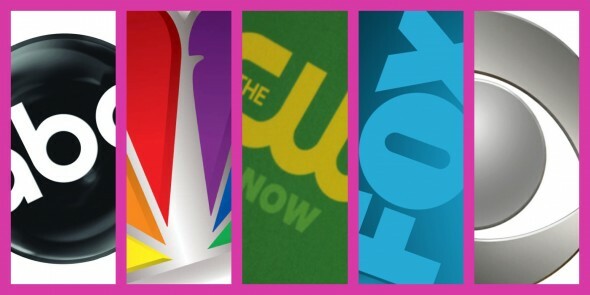 FOX shows this season (so far): 9-1-1, Bob’s Burgers, Brooklyn Nine-Nine, Empire, The Exorcist, Family Guy, The Four: Battle for Stardom, Ghosted, Gotham, Hell’s Kitchen, LA to Vegas, The Last Man on Earth, Lethal Weapon, Lucifer, MasterChef Junior, The Mick, New Girl, The Originals, The Orville, Phenoms, The Resident, Showtime at the Apollo, The Simpsons, Star, and The X-Files. NBC shows this season (so far): AP Bio, Better Late Than Never, The Blacklist, Blindspot, The Brave, Champions, Chicago Fire, Chicago Med, Chicago PD, Dateline NBC, Ellen’s Game of Games, Genius Junior, Good Girls, The Good Place, Great News, Law & Order: Special Victims Unit, Law & Order True Crime, Little Big Shots, Rise, Running Wild with Bear Grylls, Superstore, Taken, This Is Us, Timeless, The Voice, The Wall, and Will & Grace.